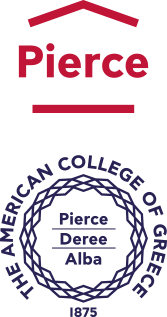 The American College of Greece | #ACGgoesplasticfree Campaign! 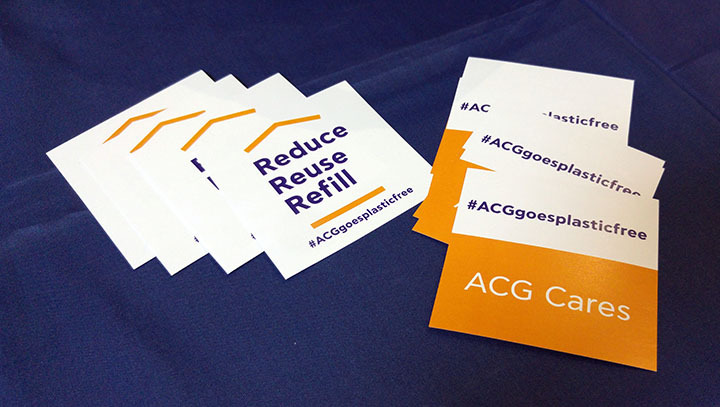 Home » News & Events » News » #ACGgoesplasticfree Campaign! Did you know that at ACG we consume over 84,000 plastic water bottles and over 120,000 plastic beverage cups annually? Plastic lasts ‘forever’. Virtually all the plastic ever produced still exists in the environment in some form. It is ironic that more than 40% of plastic is used just once, then tossed. Based on our commitment to enhance our sustainability efforts as a community and in order to establish a sustainability culture on campus, this academic year, the Office of Public Affairs and the Center of Excellence for Sustainability are launching the #ACGgoesplasticfree campaign. Joining our forces to the global movement, we aim at raising awareness on the harmful consequences of single-use plastic pollution and guide you in making a successful shift towards eliminating single-use plastics from our campus. To make the transition on campus more fun, we have introduced the ACG-branded reusable water bottle that come in red or blue color. You are of course welcome to use your own refillable bottles or cups. Technical Services have already installed two top notch, ACG hydration stations, one at Pierce and one at Deree where you can refill your bottle with quality water! More hydration stations will be gradually installed on all campuses. At the same time, going forward, offices can no longer place orders for the plastic cups that accompany the Vikos water stations. Instead, we ask that you use reusable glasses and cups for you and your guests. In the meantime, we are searching for biodegradable or paper alternatives for the future. You are also encouraged to bring your own reusable beverage cup when ordering coffee in any of the ACG vendors: Dipnosofistirio, Starbucks, Venetis, and Φbakery. You will soon see signs encouraging you to ‘Bring Your Own Cup’ placed at all locations. More actions will be gradually announced towards eliminating use of plastic straws, cutlery and plates from our daily routines and from ACG events. So, be the change you wish to see in the world and join our efforts to help reduce ACG’s plastic footprint. Together we can have a significant impact on campus and off.